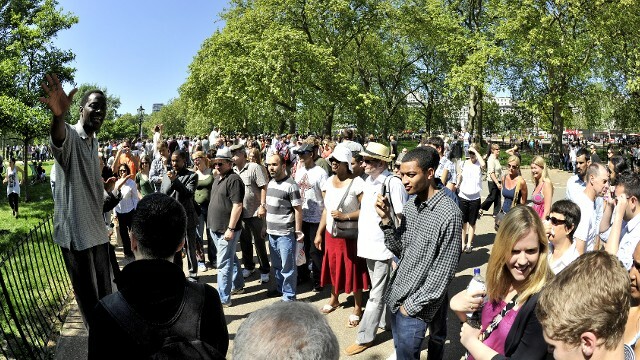 Since 1872 people have been taking their place at Speakers’ Corner in Hyde Park when they’ve had something to say. You can pretty much talk about whatever you want, provided you avoid profanity or don’t provoke too many complaints. It’s great to go down and see who’s exercising their free speech, and the particularly vocal amongst us can even get up and speak for ourselves! Though you might want to come prepared. Jack is a Croydon born writer who spends inordinate amounts of time in London's bars and restaurants. Trained as an astronomer - he gave up a (un)promising career in the sciences to make music and write for a living. The music didn't get too far but he's still writing.